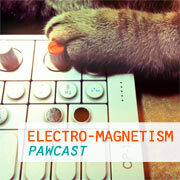 Lots of lovely crunchy drippy thumpy minimal house from our modern era, minimal electro-pop of today, and minimal synth from the early eighties… in this week’s rendition of Electro-Magnetism. Thanks for listening! Download it for later here.